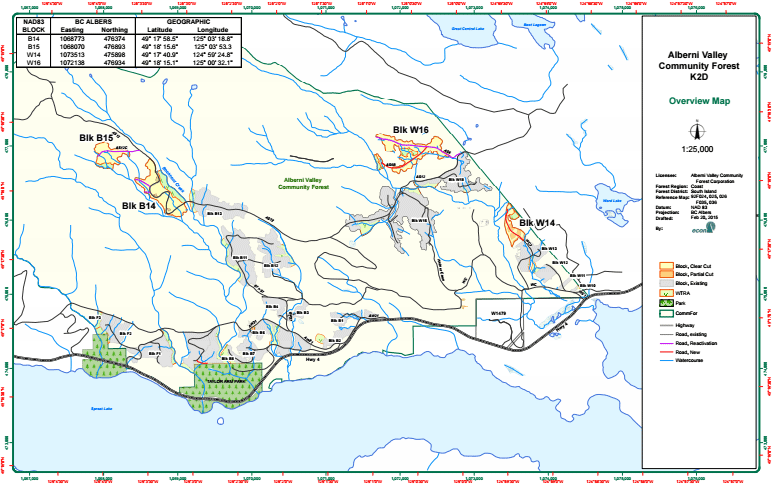 All harvesting operations in the Alberni Valley Community Forest are complete for 2018. There will be some road maintenance and engineering happening in the fall and winter. Harvesting will commence again in 2019 in the Friesen Main area. Acitve logging and hauling is happening on Taylor 568. Logging is happening on weekdays so the road should be open on weekends. Efforts will be made to keep the road open evenings. 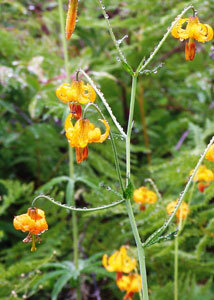 There is active falling above the trail to Mount Klitsa that passes First and Second Lake. Falling could be happening weekdays and weekends so the trail is closed for public safety. Hauling down branch 552 will start later in the summer. 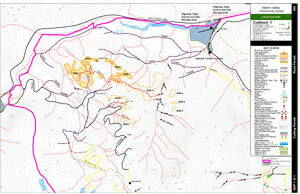 Once falling is completed the web page will be updated to let public know when the trail will reopen. Sproat Lake West Bay area. 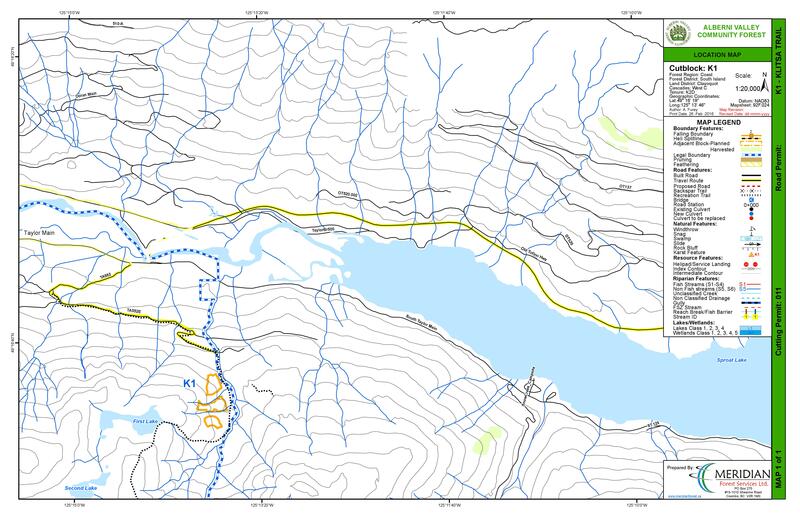 A private land owner is harvesting land adjacent to the community forest and they will be hauling logs on the Weiner Connector road across from Sproat Lake Landing. Hauling should be completed by end of June. 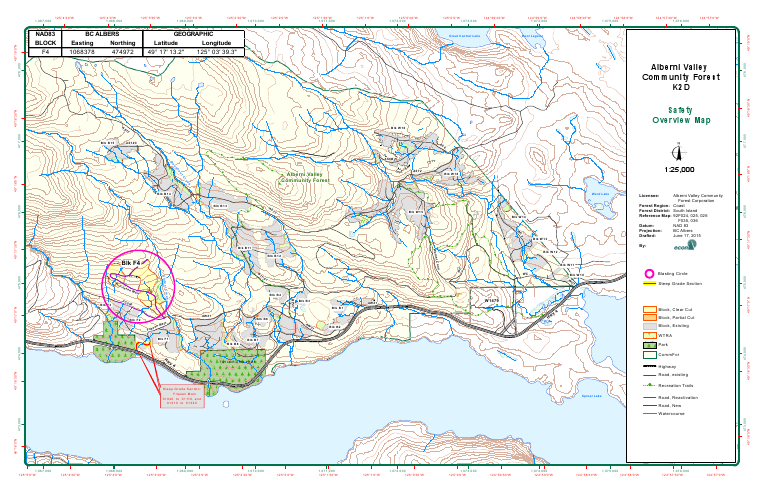 There is no active logging or hauling in the Alberni Valley Community Forest now. Harvesting activities will resume in the Taylor area in the spring of 2018. Road building is on going in this area, in blocks 1 and TS2, but activity is dependent on fire hazard. Harvesting will start this summer or fall, but activity is also dependent on fire hazard. All harvesting operations for 2017 are complete in these areas. Once fire hazard is lower in late summer or fall there will be firewood cutting options in these areas. Check the Firewood tab in the Menu for updates. Harvesting is complete in blocks B14, B15 and B16 but not in W14. Harvesting will be complete in W14 by end of September. There will be some road deactivation and slash piling in these blocks. At present no firewood cutting is allowed in these blocks. 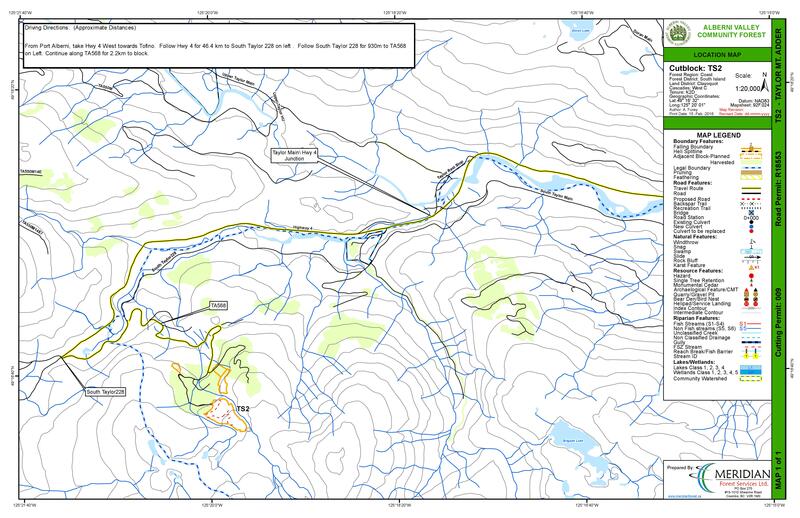 Road building and harvesting will be starting this week in the Sutton Pass portion of our Taylor blocks. 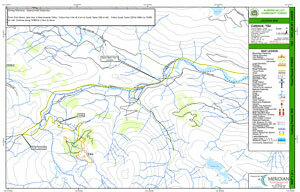 Taylor 568 which accesses the Adder Mountain Trail will be active with logging trucks and may be blocked while blasting for road construction. The industrial operations should be confined to week days but drive with caution and obey signs on weekends also in case plans change. Harvesting is just starting in W14. Harvesting is just wrapping up in B14, B16 and W16. We hope to get waste and residue done soon so these block can be opened for firewood cutting. At present no firewood cutting is allowed in these blocks. Harvesting is still active in F4. At present no firewood cutting is allowed in these blocks. Harvesting is still active in blocks B14 and B16. Harvesting has started in W16 and could start any day in W14 if the snow accumulates in the higher blocks. Harvesting has started in block F4. Harvesting has started in blocks B14 and B15. For public safety Ash 12 will be closed in the day during working hours for next three months as all falling is close to road. Click on map below for location.